With two shootings on college campuses Friday, the number of US school shootings in 2015 has climbed to 52, with 30 people killed and 53 others injured. These totals include suicides, incidents in which no one was hit, and one attack on a school bus. Gunfire broke out Friday morning on the Northern Arizona University and Texas Southern University campuses. In Flagstaff, Arizona, a shooting left a freshman dead and three other young men injured, while two were shot, one fatally, in Houston. The shootings became the 51st and 52nd school shootings this year, based on data compiled by the anti-firearm organization Everytown for Gun Safety, the Kansas City Star, and RT. Friday’s shooting at TSU was the third time in the last six weeks that the school has ended up on the list. There have been two killed and three injured in the trio of gun incidents. Of the 52 shootings, 21 have been at colleges and universities, 15 at high schools, three at middle schools, 10 at elementary schools, two at preschools, and one on a school bus. Suicides account for six of the incidents, while no one was struck by bullets in 13 of the shootings. There were also two that could be classified as murder-suicides, at the University of South Carolina in February and at Delta State University in mid-September. There have been at least two school shootings a month in 2015, including five so far in October. 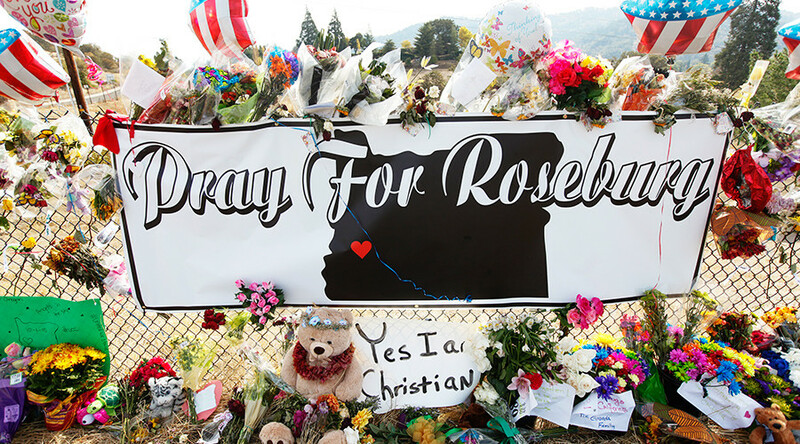 While these cases have all occurred on campuses (with the exception of the one on the school bus), only one ‒ the massacre at Umpqua Community College in Roseburg, Oregon last Friday ‒ actually occurred in a classroom or other campus building. In that mass casualty incident, 10 people ‒ including the gunman ‒ died and nine others were injured. It was by far the bloodiest of all the school shootings in 2015. There have been only three mass casualty incidents, which Mass Shooting Tracker defines as those where at least four people were shot, regardless of whether they were injured or died. 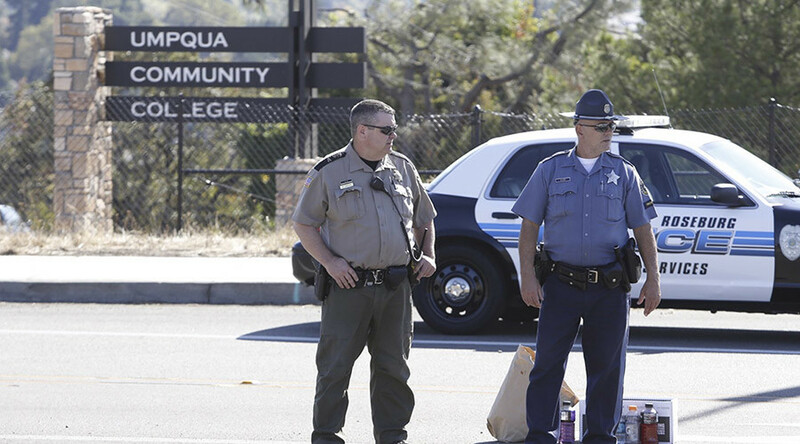 Those incidents are Umpqua, Northern Arizona and Southwestern Classical Academy in Flint, Michigan, where seven people were injured in May. The youngest fatality, other than by suicide, was a 16-year-old boy at Tenaya Middle School in Merced, California in mid-February. On college campuses, 14 students, three professors, and a university staff member have all died at the hands of gunmen. It is illegal to carry a firearm in school, thanks to the Gun-Free School Zones Act of 1990 and its subsequent update in 1996, and it is illegal for those under 21 to purchase handguns. Critics note that many of the 298 mass shootings in the US this year ‒ as tabulated by Mass Shooting Tracker ‒ have occurred in gun-free zones. Gun control advocates counter that there is no evidence that shooters intentionally target gun-free zones. “There’s no indication… from another study that any shooter intentionally went to a gun-free zone,” Mark Kelly, founder of the gun-control group Americans for Responsible Solutions, said on CNN last Sunday. Gun-rights activists have called for teachers to carry firearms and for more armed guards on school campuses since the massacre at Sandy Hook Elementary School in Newtown, Connecticut in December 2012, when 20 children ‒ all aged six and seven ‒ and six adults died at the hands of a gunman. It was the deadliest elementary school shooting in US history. However, a 2010 study conducted by ABC News and the Bethlehem Police Department at Pennsylvania’s Muhlenberg College tackled the subject of putting guns in classrooms. Officers trained six students with varying levels of firearm experience during a gun-safety class, then gave them a handgun with fake bullets that they were to keep on them during class. At random times, an armed intruder would burst into the classroom and open fire. The students were expected to defend themselves, but none of them were successful. Not even the self-described gun enthusiast.